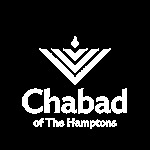 Want to keep in the loop on the latest happenings at Chabad of The Hamptons. Subscribe to our mailing list below. We'll send you information that is fresh, relevant, and important to you and our local community. 11:​45​am YIZKOR memorial service, traditional prayer service to remember your loved ones. Special prayer for members of the Armed Forces.